Josh was an excellent salesperson , no pressure, answered all questions, patient. Very pleased with the process. When my wife and I needed to find a new car, I did a lot of searching around online, and talked to more than one sales rep who told me things that didn't add up to me. I was very pleasantly impressed then when I met Rick and Danny at Wakefield Auto Gallery. Not only did they really price their cars fairly, there was no mystery about dealing with them - they were very straightforward. Buying a used car for me is not about hoping for a perfect car - they just don't exist. What's more important to me is how a dealer stands behind their name, and Wakefield did just that when my mechanic found a couple of small things before we closed. They stepped right up, took care of the issues, and we have had zero problems with our car in the 8 months we've owned it. I would definitely recommend them to anyone. I had never had any experience with a small dealership before and was pleasantly surprised by the no pressure attitude of these guys! Fatih, Rick and Danny all went above and beyond to make our experience as painless as possible. 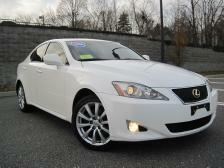 Fatih made us feel comfortable and made sure that we knew exactly what we were getting in the 2007 Lexus IS 250. 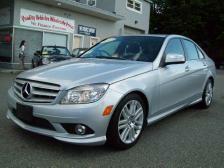 Danny, the owner, gave us different options for financing and it was clear that he wanted to do what was best for us. There was an issue with the breaks on the new car. When I brought it back they fixed it at no charge, no questions asked. These guys are real honest people and they take good care of their customers! I would recommend them to anyone looking for a good quality used car! I bought my 2005 BMW 645CI from here, Fatih was the sales representative that dealt with me. Both, Fatih and Danny, the manager, were very helpful and prompt with everything. I fell in love with the car during the first minute minute of the test drive. Excellent service! 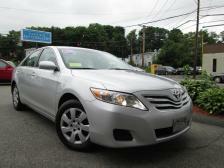 I recently purchased a 2010 Camry from Wakefield Auto Gallery. I shopped the big dealers for awhile but could not believe the prices they were asking for their cars so when I found Wakefield Auto Gallery I was pleased with their prices and they have a great selection and the cars are very clean. Danny and Rick were great to deal with, no pressure, honest and very informative. This car shopping experience was by far the best I've had and would recommend to stop by and check them out. I am very happy with the purchase of my Camry from them and would buy from them again. The staff at Wakefield auto gallery made me feel right at home and comfortable making a purchase of this type.  Fatih was a great help in giving me the information that I was looking for without all the usual hassle of listening to a sales pitch. You will truly feel the quality of not only the cars they have to offer but the knowledge and no nonsense approach to buying a nice used car! At Wakefield Auto Gallery we are proud of the quality used cars we sell and our dedication to serve the needs of our customers. This is reflected in the amount of repeat business we receive. Whether this is your first purchase with us or one of many that you’ve had, you can count on our dedicated sales staff to make it the best buying experience possible.